Although creating a mobile app might seem like a daunting task even for the most experienced web developers who don't have much mobile experience, the truth is that most skilled developers can probably create a mobile app fairly easily -- it's really not terribly different from creating web apps. Still, it doesn't hurt to use a mobile framework to help you along the way, especially in terms of bridging the gap between mobile and web apps. Any of the frameworks below would be a welcome addition to your mobile projects. jQuery mobile is a mobile development framework that's optimized for creating multi-platform apps. 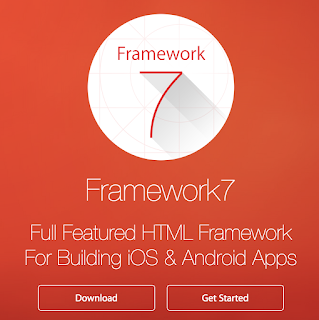 Framework7 is an open-source mobile HTML framework for developing hybrid apps with an iOS look and feel. It's specifically meant to make the transition from developing web apps to mobile apps seamless and easy. Ionic is a lightweight and scalable framework meant to develop hybrid apps. It comes loaded with JS, Sass, and HTML input components. It also works really well with Angular.js. 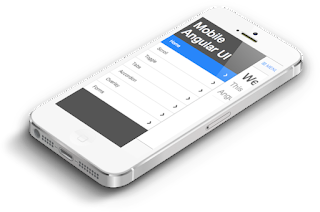 Mobile Angular UI is a framework that lets you use Angular and Boostrap for mobile app development -- perfect for first time app developers looking for a way to ease into mobile.